Jiang Tianyong, 41, was “guilty” of defending members of Falun Gong and people living with AIDS. For this, he endured two months of violence, humiliations and threats. Other human rights lawyers caught TB whilst in prison or lost their memory from being forced fed medical drugs. Hong Kong (AsiaNews) – Beijing-based Human rights lawyer Jiang Tianyong knows all about beatings, isolation, brain washing and bullying. He has had to endure them since that day in February when he was arrested by police. Only after he signed a number of pledges was he released two months later. When he disappeared, he was not alone. Dozens of other lawyers and dissidents were arrested as part of a crackdown designed to nip in the bud any potential Chinese-styled ‘jasmine revolution’. In order to overcome the fears instilled in him by the violence he was subjected to, Jiang spoke to a journalist from the South China Morning Post and his story was published in yesterday’s edition of the paper. Jiang’s “guilt” is rooted in his decision to defend the rights of Christians, pro-democracy activists, people living with AIDS and members of the Falun Gong. Police arrested the 41-year-old lawyer on 19 February, taking him to an unknown location where he was beaten for two nights. He was then made to sit motionless for up to 15 hours a day in a room where the curtains were always closed and interrogated repeatedly by national security officers. He said he could never say "I don't know" or make "mistakes", or threats and humiliation would follow. His interrogators scornfully told him, "Here we can do things in accordance to law. We can also not do things in accordance to law, because we are allowed not to do things in accordance to law." Jiang was released 60 days later after his interrogators believed their brainwashing had succeeded and he had signed eight pledges. If the pledges were broken, he was warned, they could make him disappear again at any time, and even threatened to detain his wife. During the ordeal, his wife, Jin Bianling, called on Protestant communities around the world to pray for her husband’s release. This occurred when Jiang agreed to give police the names of all the people he met and tell them of all the things they discussed. After release, Jiang kept a low profile. His experiences had left him with deep psychological scars. Still, he considers himself lucky. Other activists and dissidents have fared far worse. 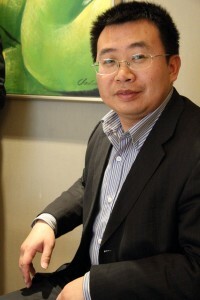 For example, lawyer Tang Jitian was subjected to blasts of cold air in detention. After his release, he was diagnosed with tuberculosis. Guangzhou lawyer Tang Jingling was instead fed medical drugs that resulted in temporary memory loss. Artist Ai Weiwei was, for his part, kept in a room with the light on for 24 hours a day. Two guards watched him every moment, even when he was showering or sleeping. Peng Ming, Christian ecologist and activist, dies in prison. Three other disappeared "at the risk of torture"